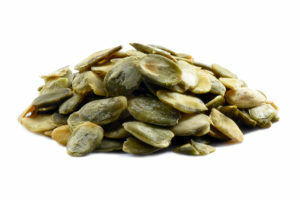 Pumpkin seeds may be small but they provide a vast array of health benefits. Once you become aware of just how beneficial these seeds are, you’ll likely want to find pumpkin seeds for sale in bulk amounts so that you’ll have plenty to incorporate into various health-conscious recipes. 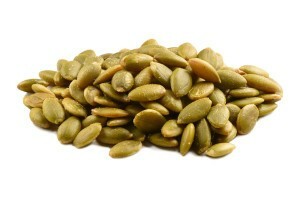 The zinc in pumpkin seeds can help support prostate health. Postmenopausal women who add pumpkin seeds to their diet may notice an increase in HDL (good cholesterol) and a decrease in uncomfortable menopausal symptoms such as hot flashes and headaches. Pumpkin seeds provide support for the liver and heart. Pumpkin seeds have anti-inflammatory benefits. They support bone health and help reduce the risk of osteoporosis. An insufficient amount of sleep can lead to an array of health problems. 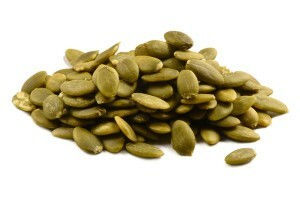 Pumpkin seeds are a rich source of tryptophan, an amino acid. Your body converts this amino acid into serotonin which is converted into the sleep hormone melatonin. One step you can take to help assure that you get a good night’s sleep is to eat a snack combination that includes pumpkin seeds and fruit a few hours before going to bed. This routine may help you get the sufficient amount of sleep your body needs to function at optimum level. A fantastic reason for buying bulk pumpkin seeds and making them one of your favorite go-to snacks or a consistent addition to your trail mix is that pumpkin seeds are a great source of support for your immune system. This is a benefit that you certainly want to be mindful of during the fall and winter seasons when there’s typically an increase in colds and flu. Zinc is one of the 6 nutrients revered for the support it provides the immune system. Your immune system also needs a sufficient amount of zinc in order to be able to fight off infections. Knowing that one ounce of pumpkin seeds contains 2 mg of zinc assures you that you’re getting some beneficial immune system support simply by enjoying these tasty seeds. Antioxidants help fight free radicals and toxins. Typically, most people do not get the sufficient amount of antioxidants their body needs. This is due in part to an unhealthy diet that doesn’t contain the proper amount fruits and vegetables. Including antioxidant-rich foods, such as pumpkin seeds in your diet, can improve your overall health, wellness and quite possibly your quality of life. One unique benefit that pumpkin seeds have is the diversity in the antioxidants they contain. Pumpkin seeds contain many forms of vitamin E including Alpha-tocomonoenol, delta-tocopherol, alpha-tocopherol, gamma-tocopherol and gamma-tocomonoenol. These seeds also contain the beneficial minerals zinc and manganese. To further increase the health benefits of pumpkin seeds, they also contain phenolic acids and phytonutrients such as lignans. Making pumpkin seeds a regular part of your diet is an excellent and flavorful way to acquire the beneficial antioxidants your body needs. 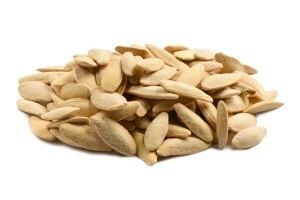 Pumpkin seeds are an excellent source of Omega-3 fatty acids. Omega-3 is known to reduce bad cholesterol known as LDL. Phytosterols, one of the unique organic compounds found in pumpkin seeds, also helps lower LDL cholesterol levels. Pumpkin seeds are an excellent source of copper. When there is a copper deficiency in the body, cholesterol levels are higher. Studies show that the higher the copper level in the blood, the lower the cholesterol level will be. Getting a sufficient amount of fiber in your diet can help lower LDL and reduce the risk of heart disease. 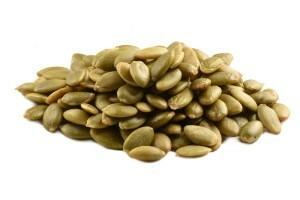 Pumpkin seeds are a good source of fiber and can easily be incorporated into your diet in many ways. Cholesterol levels and heart health are interconnected. In addition to helping you acquire and maintain a recommended cholesterol reading, pumpkin seeds are beneficial to your cardiovascular health. Studies show that omega-3 fatty acids can decrease the risk for conditions such as thrombosis and arrhythmias which can lead to a stroke or heart attack. Pumpkin seeds are also a good source of mono-unsaturated fats. These fats can help protect your heart and can prevent certain conditions such as obesity and inflammation which are detrimental to heart health. Magnesium plays a vital role in cardiovascular health. Over 75% of Americans do not get the amount of magnesium their body needs. 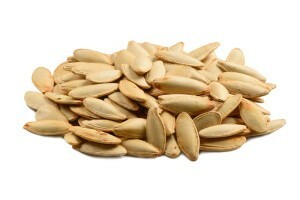 Just ¼ cup of pumpkin seeds will provide you with almost half of the recommended daily amount of magnesium you need. Magnesium has been credited with helping prevent strokes, heart attacks and episodes of cardiac arrest. Nutritional guidelines provide you with information indicating the daily value percentage of vitamins, minerals, electrolytes, fiber, energy, cholesterol, carbohydrates, protein and total fat a specific food provides. The average recommended intake is based on what is shown to be sufficient for approximately 98% of people who are in good health. Pumpkin seeds are a good resource for acquiring the recommended dietary allowance of energy, protein, numerous vitamins, especially Vitamin E and various minerals with the highest percentage of minerals being magnesium, manganese, phosphorous, copper and iron.